It took me over a year to find the right brown riding boots. Since I got them last winter, I have been wanting black ones. I love riding boots. With my black coat and cross-body bag purchased, I had a one track mind to get my hands on some black riding boots. I asked the concierge (this became a daily routine: brush teeth, get dressed, ask concierge…) where the best shopping was in Sydney and he sent me (on the bus!) to the Westfield Bondi Junction. This is four of the five levels of this mall. This mall goes over a major street and takes up the space of 3 or 4 of our LA malls. It was huge. I got lost a few times and walked in many circles. Did I find boots, yes! Did I find any cute ones under $200? Heck no. Sydney is expensive, yo! While I didn’t buy anything (not one. single. thing.) I did enjoy looking at the shops, especially the home stores. You see, Australians like things in categories. On our first day wandering the city, my husband and I noticed 5 different outdoorsy type stores on one block. If you ask for a good restaurant recommendation, you are directed to a whole row of restaurants. In the states, we mix things up. In Australia, they like categories. All of the children’s stores were in one corner of the mall. All of the home stores were in one wing. Here are some of my favorites. The store was filled with ghost chairs. I’ve seen these clear plastic chairs on the design blogs I follow, but these were separated by color and mounted all over the walls. It was a really beautiful presentation of something as simple as chairs. This Swedish store is all about organization. Again, categorized by color, the boxes and bins and papers and binders are beautiful and functional. I almost bought something for my mom here, but decided I should get her something Australian while I’m in Australia, not something Swedish. 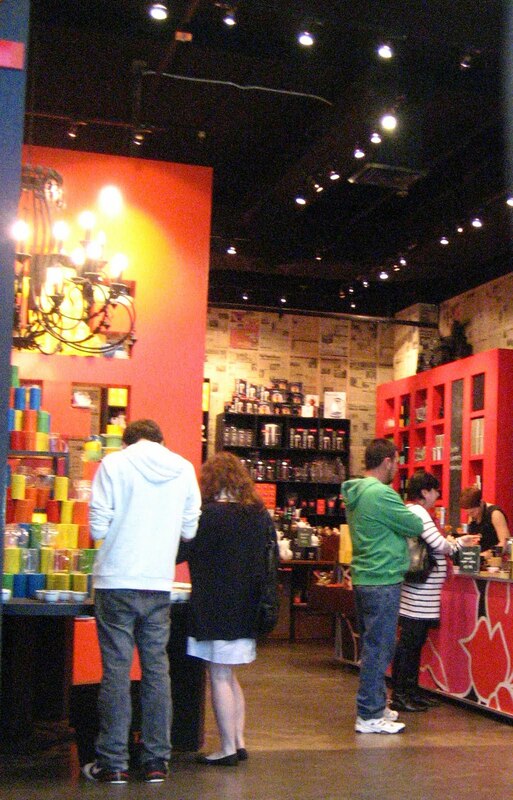 This tea shop had hundreds of tea tins stacked to the ceiling. They had beautiful pots and cups and samples out to taste. Everything smelled wonderful and I had to stop myself from leaving with armfuls of loose leaf tea (they definitely wouldn’t let me through customs with all that). 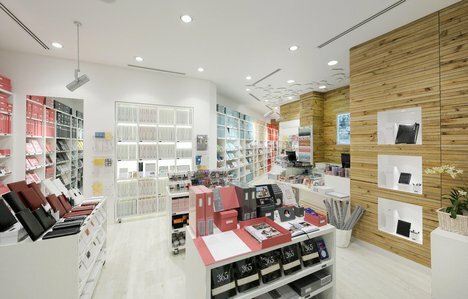 This store was fresh and clean and natural. They had furniture, decor pieces, stuffed animals, and even jewelry. I really wanted to buy a tree necklace I saw, but at $70, I simply couldn’t justify it. 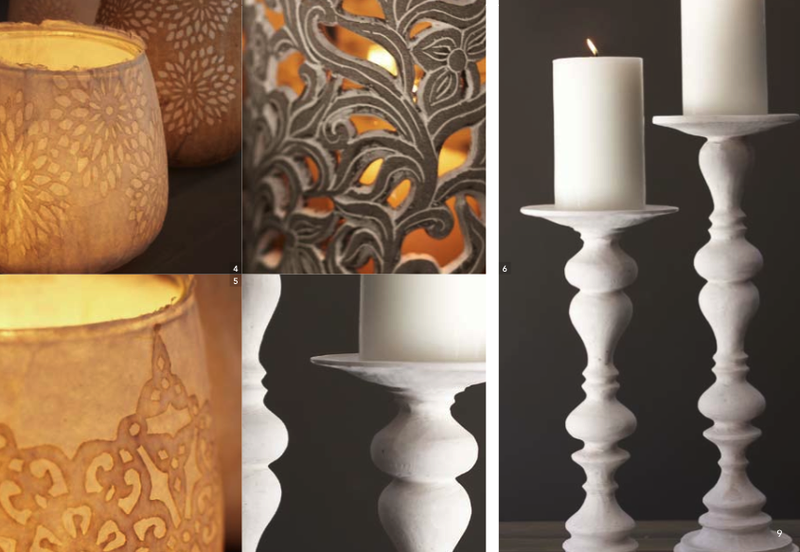 How lovely would those candlesticks look on a dining room table or mantelpiece? I’ll take 20. After meandering around the mall, eating lunch, and figuring out how the heck to get back to the hotel (the bus confused me), I rested and got ready for our evening at the Opera. 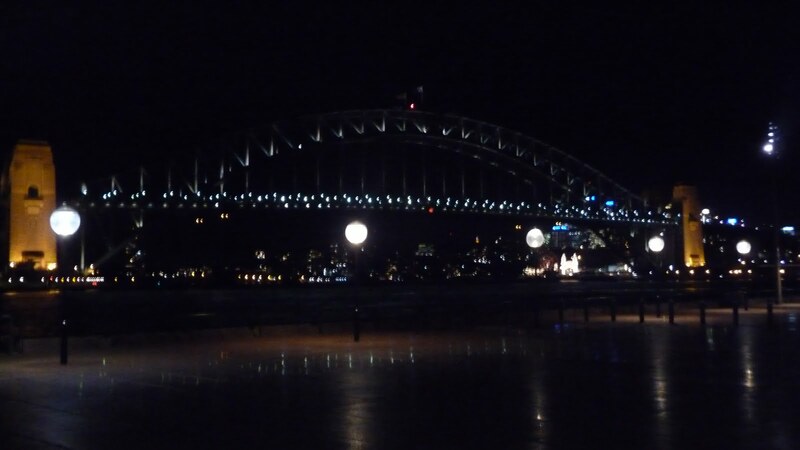 From the Opera House, you get an amazing view of the Harbour Bridge. 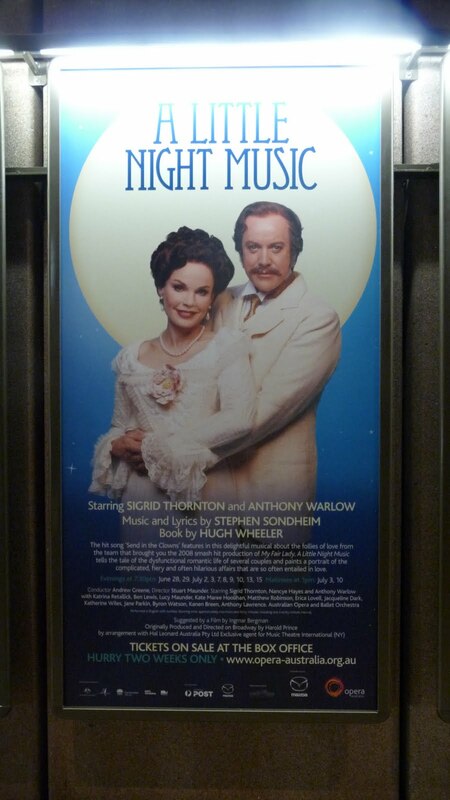 The play was wonderful. Funny and endearing, Sigrid had my eyes glued to the stage whenever she was on it. 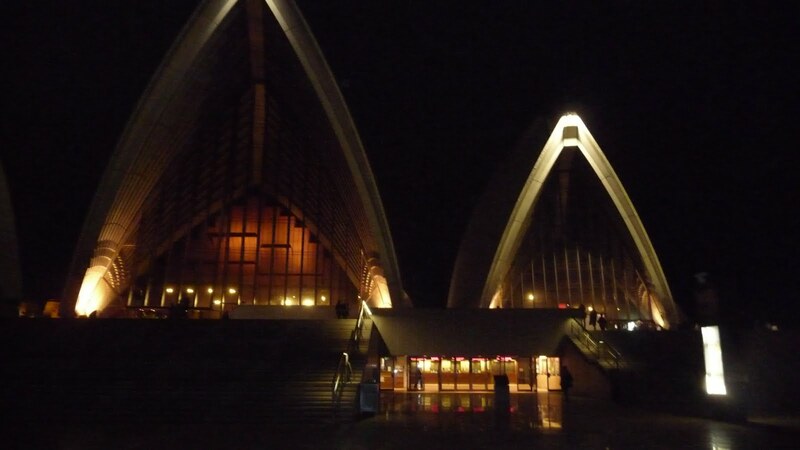 Many people see the Opera House on their visits to Sydney, but few actually get to go inside and see a show. We were so lucky to get that opportunity. 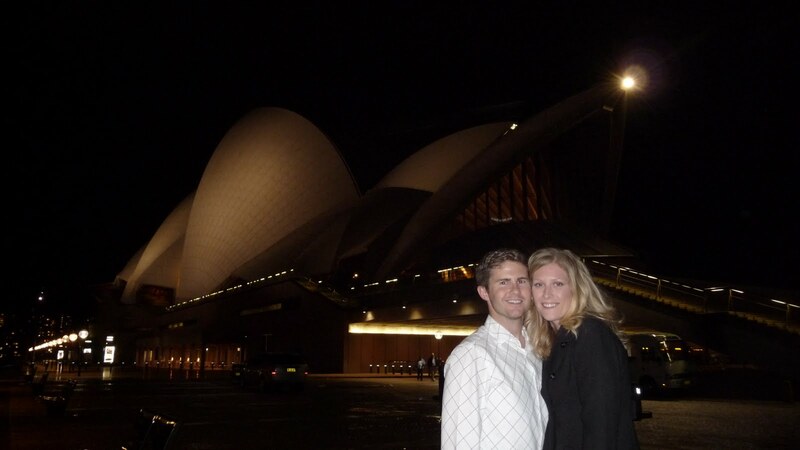 All dressed up for our night at the Opera! Up next: the days start to blur and I start getting lonely. Stay Tuned!